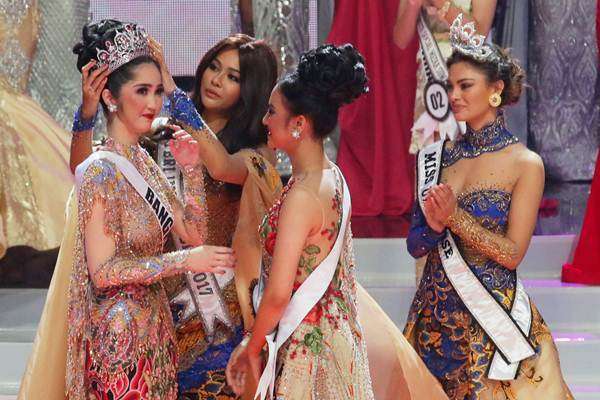 Sonia Fergina Citra from Bangka Belitung was crowned the winner of Puteri Indonesia 2018 at the Jakarta Convention Center last night. It is the second win for her state and their first in 14 years. Citra is 25 years old, stands 1.79m tall and will now start preparing to represent Indonesia at the next Miss Universe Competition at the end of this year. Vania Fitryanti Herlambang, representing Banten, finished in second place and was crowned Miss International Indonesia. She is 20 years old, stands 1.72m tall and will try to win a back to back title for her country at the next Miss International Pageant in Japan later this year. 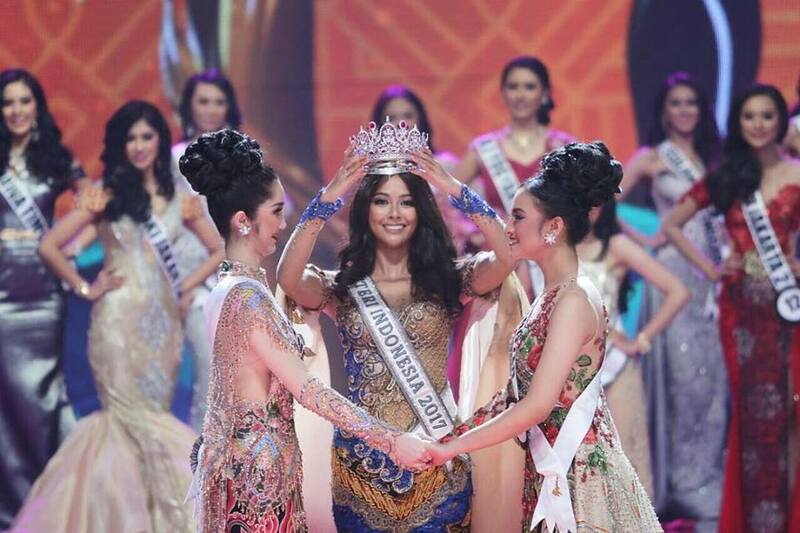 Kalimantan Barat's Wilda Octaviana Situngkir finished in third place and was crowned Miss Supranational Indonesia. She is 24 years old, stands 1.78m tall and will represent Indonesia at the 10th edition of Miss Supranational 2018 in December. Dilla Fadiela from DI Yogyakarta was awarded the title Puteri Indonesia Perdamaian but it is not yet known if she will represent her country internationally. The top 6 were completed by the delegates from Sumatera Selatan and Jawa Tengah. Making it to the top 11 before being eliminated were the representatives from Sumatera Barat, Lampung, and DKI Jakarta 2, 4 and 6. The pageant was attended by the reigning Miss Universe, Miss International and Miss Supranational. Miss Universe 2007, Riyo Mori, was also attended to sit as a judge. GB Opinion: Interesting choices for Indonesia. A lot of the big favorites did not perform as well as expected. The new Miss Universe Indonesia has potential and we will be following her journey to see how she evolves as her reign unfolds. Miss International Indonesia has her work cut out for her. We are quite excited to see their delegate for Supranational competing at this pageant. She could do quite well. Photos courtesy of Bisnis and Puteri Indonesia facebook Page!